Celebrated for its iconic architecture designed by world-renowned tvsdesign, the sculptural King and Queen office towers and masterful plan of Concourse signal one of the most prestigious mixed-use developments in the Southeastern United States. Uniquely recognizable and accessible in the coveted pulse of Central Perimeter, Concourse is distinguished for its 2.16 million square feet of Class A office space and world-class amenities, making the 63-acre dynamic, development a prestigious location for small and large corporate offices. 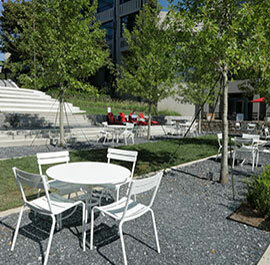 Essential and luxurious amenities on the Concourse campus are a key benefit to clients, visitors, firms and employees. 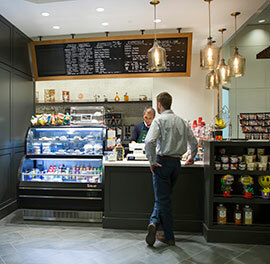 The Westin Hotel, Concourse Athletic Club, Kindercare, concierge services, and easy access to restaurants, banking and shopping afford an unmatched level of convenience that not only saves time, but increases productivity. Concourse is located in the heart of Central Perimeter at I-285 and GA-400, with greatly improved commuter access at Hammond Drive. 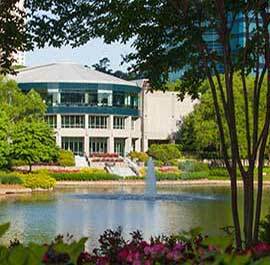 The property is directly accessible from anywhere in the region and also offers a dedicated shuttle to the nearby Perimeter MARTA train station for access to Hartsfield Jackson International Airport. Concourse has all the markings of a smart business move. 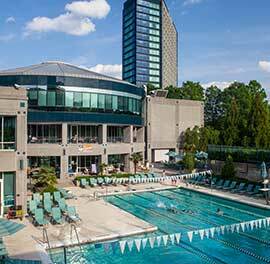 From landmark stature and location to exceptional amenities and management, it all adds up to an incomparable value that enhances employee recruitment, retention and satisfaction. 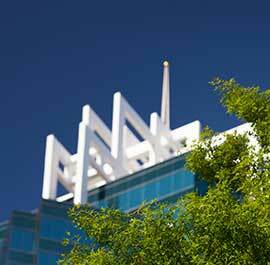 See how “iconic” can work to your company’s best advantage. The new corporate ownership has taken bold steps to restore the one-of-a-kind image of Concourse. 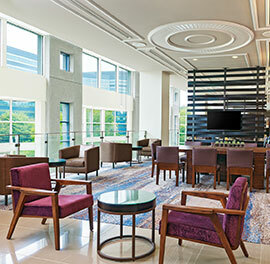 Major amenity, lobby, elevator and infrastructure improvements upgrade the tenant experience, inside and out.